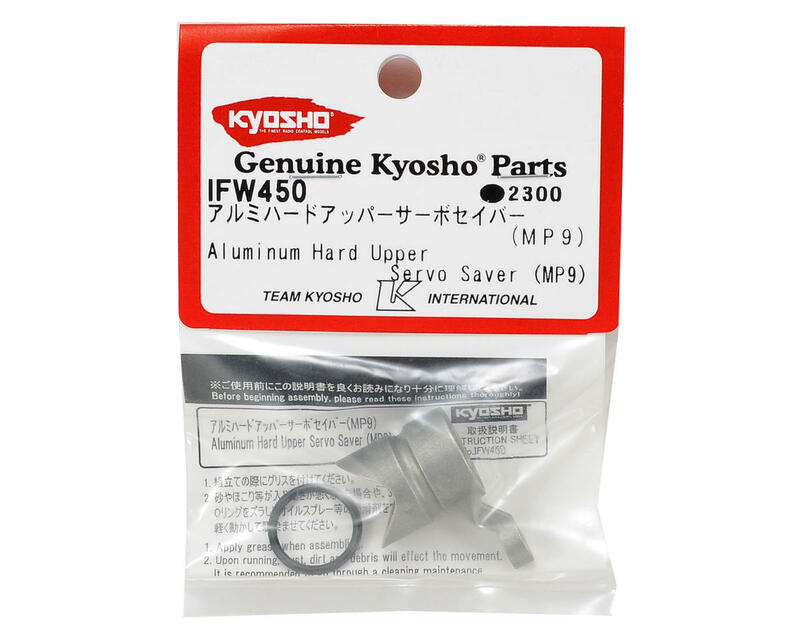 This is the optional Kyosho Aluminum Upper Servo Saver. The current crop of high torque, high voltage servos can punish the stock servo saver system, reducing the life of the spring. 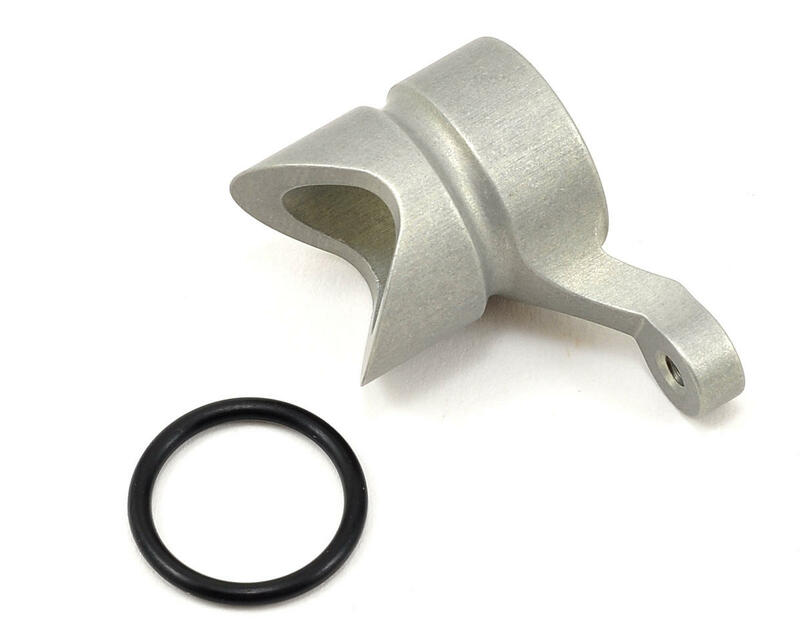 So Kanai developed this servo saver horn, to eliminate unwanted flex in the sevo saver assembly for an improved steering feel. Additionally, this servo saver is unique in that it features a lubrication hole that allows you to add grease or a light oil to the servo saver assembly when needed, and uses groove/o-ring design to cover the hole and help keep dirt from contaminating the assembly. Great way to strengthen the steering system. Worth getting for sure. Nice Kyosho option part but the color is aluminium (like the picture) and not Gunmetal !